We are in Bansko, in Bulgaria, attending a youth exchange financed from the Youth in Action programme, Action 1.1 called Social youth volunteering. The partner of this amazing project are Turkey, Romania, Spain, Hungary, Bulgaria and Italy. The coordinator of the project is Know and Can Association (Znam I moga in Bulgarian, based in Sofia capital). Here you are the opinion of our Italian participants about their experience during the week. Hi my name is Francesco and I’m enjoying here in Bansko a lot!!!! People are amazing, food is good and the project is the best I have done in my life with a great company that gives us a lot of fun. Hello! 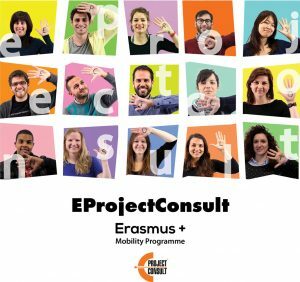 I’m Alessandra and this is my first European Project abroad. I’m enjoying so much in Bulgaria, here I met a lot of interesting people, knew other cultures, other languages and thinking. Thanks to this experience I could improve my English and met a lot of new friends all over the Europe. Hi! I’m Melania and I’m very happy here in Bulgaria! It’s a beautiful country and it is great to meet again friends I met in another project in Sicily! There are very nice people and in few days we just had an amazing group and spent great time together: we have fun and we did a lot of interesting activities that are very useful. At the same time, I learnt something about other cultures and it is very interesting to discover that we have a lot of things in common but we have also something totally different between us. There is a very good organization and I hope to participate on others projects like this one.